Hope you all are doing great. More than a week has passed away since our last update. The past few days has been quite exciting for the users. Users have been making a lot of profit from our casino lately. 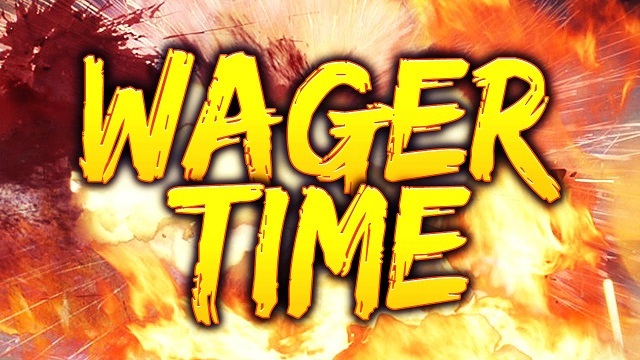 March monthly wagering contest is still going on and users are fighting fiercely to get into the top position. Bitcoincash: User Juan is currently leading the top position of the bitcoincash wagering contest. The user has wagered a total amount of 232.96 BCH and will receive an estimate reward of 0.465 BCH out of the maximum of 6 BCH reward. Second place is currently taken by m4ansen who has wagered 81.206 BCH and based on his position and wagered amount will receive an estimate amount of 0.146 BCH out of the maximum reward of 4 BCH. The third place is currently taken by Cuelino478 who has wagered only 42.16 BCH and will receive an estimate amount of 0.0632 BCH out of the maximum reward of 2 BCH. Dash: User Itibor is currently on the top position of the Dash wagering contest leaderboard. The user has wagered an amount of 35.56 DASH and will receive an estimate of 0.0711 DASH out of the maximum of 5 DASH reward. Skyelar is currently occupying the second position by wagereing 30.485 DASH and will receive and estimate of 0.054 DASH out of the maximum of 3 DASH reward. Juan has wagered 30.078 DASH and will receive an estimate of 0.045 DASH out of the maximum of 1.5 DASH based on position and wagered amount. Dogecoin: User esmert is right now on the top position of the Doge wagering contest leaderboard. The user has managed to wager a total amount of 15,579,336 DOGE to reach the top position. If the user manages to hold his position, then the user will be receiving an estimate of 31,158 DOGE out of the maximum of 300,000 DOGE. User Sidyen has wagered a total of 10,221,033 DOGE which has placed him second for now and will receive an estimate of 18,397 DOGE out of the maximum of 170,000 DOGE. User Ingui550 has wagered 7,651,813 DOGE and will receive an estimate reward of 11,477 DOGE out of the maximum of 100,000 DOGE. Ethereumclassic: Once again our user Juan is also leading the Ethereumclassic wagering contest leaderboard. The user has wagered an amazing amount of 30,194 ETC and based on his wagered amount and position will be receiving an estimate amount of 60.388 ETC out of the maximum of 70 ETC reward. NiMa is currently on the second place by wagering 2,389 ETC and will receive an estimate amount of 5.11 ETC out of the maximum of 40 ETC. User Keaton361 is on the third position by wagering 1,081 ETC and will receive an estimate of 1.621 ETC out of the maximum of 20 ETC reward if the user manages to hold his current position. Ethereum: User Searu176 is holding the first position of the Ethereum wagering contest leaderboard. The user has wagered an amount of 852.68 ETH and will receive an estimate reward of 1.875 ETH out of the maximum of 5 ETH reward assuming that the user was able to hold his current position without wagering any more. Second place of the leaderboard is taken by Jermane821 who has wagered a total amount of 810.98 ETH and will receive an estimate amount of 1.54 ETH out of the maximum of 3 ETH reward. Third place is currently taken by Harald414 who has wagered 659.22 ETH and will receive an estimate amount of 1.054 ETH out of the maximum of 1.5 ETH reward based on his position and wagered amount. NeoGas: User Exxon is currently sitting on the top position by wagering 728.599 GAS and will receive an estimate amount of 1.457 GAS out of the total of 100 GAS reward. Exxon is followed by Lutpin who has wagered 725.16 GAS and for his current achievement will receive an estimate of 1.305 GAS out of the maximum of 60 GAS. Juan is currently on the third place has wagered a total of 658.44 GAS for now and will be receiving an estimate of 0.98 GAS out of the maximum of 30 GAS as a reward. Litecoin: User Jok354 has wagered a total of 1,620.06 LTC which has placed him on the top of the Litecoin wagering contest leaderboard. The user will receive an estimate of 3.24 LTC out of the maximum of 15 LTC as a reward. User Roberto311 has wagered a total of 1,265 LTC and will receive an estimate of 2.277 LTC out of the maximum reward of 10 LTC. Third place is currently occupied by nish44 who has wagered a total of 826.9 LTC and will receive an estimate of 1.24 LTC as a reward out of the maximum of 5 LTC. Peercoin: Juan once again can be seen of the top position of Peercoin wagering contest. The user has wagered a total of 13,658 PPC and will receive an estimate of 27.31 PPC out of the maximum of 500 PPC reward. Juan is followed by Miamaus19186 who has wagered a total of 11,667 PPC and will receive an estimate of 21.002 PPC out of the maximum of 300 PPC reward for his current achievements. Third place is taken by Skyelar who has wagered a total of 8,145 PPC and will receive an estimate of 12.21 PPC out of the maximum of 150 PPC. Stratis: User grav has wagered a total of 8,182 START which has helped him to take the top position of start wagering contest for now. The user will receive an estimate of 16.364 START for his current achievement out of the maximum of 400 START. Second place is taken by ESHManny who has wagered a total of 5,009 START and will receive an estimate of 9.01 STRAT out of the maximum of 250 START as a reward. Speers747 has wagered a total of 4,465 STRAT which has helped him capture the third position. If the user manages to hold on to that position, the user will receive at least an estimated reward of 6.69 START out of the maximum of 125 STRAT. Monero: User Itibor has wagered a total of 110.2 XMR which has given him the first place on the wagering contest leaderboard. The user will receive an estimate of 0.22 XMR out of the maximum of 8 XMR as a reward for his achievements. Itibor is followed by Eega who has wagered 29.099 XMR which has placed him second. The user will receive an estimate of 0.052 XMR out of 5 XMR as a reward. Third place is taken by Nik427 who has wagered a total of 27.149 XMR and will receive an estimate of 0.04 XMR as a reward out of 2.5 XMR maximum reward capacity. Less than 15 days left before the March wagering contest comes to an end. You still have a chance to stand out and cover up all those previous bets you haven’t made during the “no bet delay” promotion. The “no bet delay” will start tomorrow. Just hop in and give your best to get into the top position and grab some sweet rewards! We have made a slight change to our jackpot rules. Users will now have to have a bet amount and profit of at least 0.000001 BTC, 0.001 DASH, 100 DOGE, 0.001 ETH, 0.0001 XMR, 0.00001 BCH, 0.001 LTC, 0.1 PPC, 0.01 STRAT, 0.01 GAS, 0.001 ETC or 1000 PlayMoney. Rest of the rules to be eligible for the jackpot still applies. Since last week, no new jackpot has been hit. We should expect to see some jackpots being hit soon. So head over to the dice or roulette and go jackpot hunting! Bitcoin Lotto round 353 has been won by S0lidus (1st place with a win chance of 9.155 %), Accountant (2nd place with a win chance of 21.127 %) and 2chainz4prez (3rd place with a win chance of 5.634 %). The users have won 0.011360 BTC, 0.002130 BTC and 0.000710 BTC according to their respective positions. Bitcoin Lotto round 354 has been won by Greely345 (1st place with a win chance of 20.755 %), B4RF (2nd place with a win chance of 2.83 %) and Shahista (3rd place with a win chance of 0.472 %). The user have won 0.0169 BTC, 0.003180 BTC and 0.001060 BTC according to their respective positions. Ethereum Lotto round 145 has been won by d3ca (1st place with a win chance of 6.579 %), Sceobba658 (2nd place with a win chance of 28.195 %) and s0lidus (3rd place with a win chance of 4.041 %). The users have won 1.2768 ETH, 0.2394 ETH and 0.0798 ETH according to their respective positions. Ethereum Lotto round 146 has been won by Cent21 who took all the three position with a win chance of 60% ! The user have won a total of 0.03 ETH alone. User fatgooseNNa made a profit (Dice BetID: 3,239,709,621) 0.033 BTC by wagering only 367 satoshi and being able to hit the x9018.18 multiplier! The same user made another risky bet of 0.2388 BTC (Dice BetID: 3,281,337,366) and won 0.077 BTC profit! User Oger469 made (Roulette BetID: 12,378,737) a profit of 203,000 DOGE by wagering only 40,000 DOGE on roulette. The same user won another (Roulette BetID: 12,525,283) 299,000 DOGE by wagering only 43,000 DOGE. User Harald414 made a profit (Video Poker BetID: 5,290,506) of 7.4 ETH on video poker by getting a straight flush and betting only 0.1 ETH! User Lord69nikon made a profit of 0.035 BTC (Roulette BetID: 12,474,616) on roulette by wagering only 0.001 BTC. March wagering contest still have more than half a month before it comes to an end. Take the advantage of weekly no speed limit on dice and try to win something. Don’t forget, there are coins that are not much active in the wagering contest which you can join and easily reach the top position. If you have any suggestions or wish to leave a feedback, don’t hesitate to contact us through email or the directly through the chat!